The early stages of your bodybuilding journey are the best time to make strength and size gains. Being new to training, your body responds and adapts rapidly to lifting weights and builds muscle at a faster rate. You can expect a gain of around 1 to 2 pounds per month when exercising properly, notes trainer Barry Lumsden. Getting the best from your training regime also requires a solid diet plan, however. The most important aspect of your bodybuilding diet is calorie intake. To build mass, you need between 20 and 22 calories per pound of body weight each day, according to sports scientist Jim Stoppani. This would mean a 150-pound beginner bodybuilder would need between 3,000 and 3,300 calories per day to gain weight. Stoppani advises reducing your intake slightly on nontraining days, though, as you're less active. On these days, aim for 18 calories per pound, meaning the 150-pound bodybuilder would need 2,700 calories on rest days. Begin your day right with a muscle-building breakfast. The bodybuilding staple of eggs and oats is a good option, as is any type of vegetable-packed omelet, boiled or poached eggs on toast, or a lean bacon sandwich on rye or whole-grain bread. 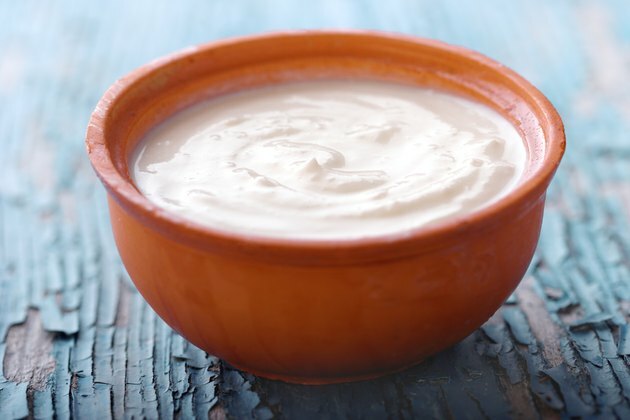 When you're in a rush, go for something quick and easy, such as Greek yogurt or cottage cheese mixed with almonds or almond butter, some frozen berries and a chopped banana. Forget your typical lunch of a sandwich and chips and opt instead for a calorie- and protein-packed healthy lunch. 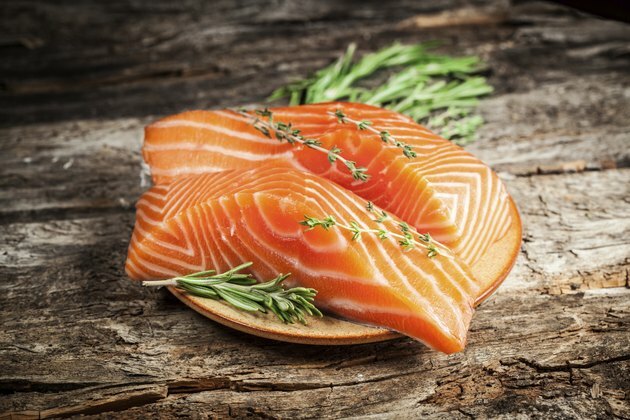 Precooked brown rice or noodles with a piece of baked salmon, vegetables and olive oil can be made in advance and stored in a container until you're ready to eat it. If you'd rather go for a more traditional office-type lunch, have two to three whole-grain wraps filled with turkey or ham, plenty of salad and grated cheese, served with a piece or two of fruit and a handful of unsalted nuts. Keep things simple at dinner and aim for an even distribution of protein, starchy carbs and vegetables. Pick steak, chicken, pork, turkey or fish for your protein, or a soy-based product if you're vegetarian. 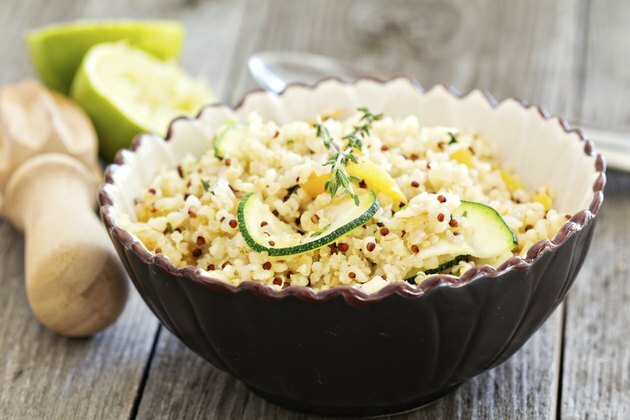 Pasta, sweet potatoes, couscous, quinoa and buckwheat are all nutrient-dense, high-fiber carb sources. And as for vegetables, anything goes. Consider making double your evening meal to take for lunch the next day. 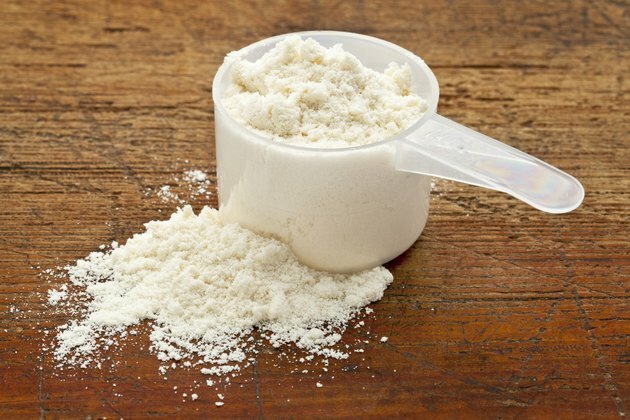 One aspect many new bodybuilders look into is protein shakes. These are a quick and convenient way to take in more protein and calories, but they aren't necessary. If you have a hectic lifestyle and can't always make time to eat a meal, a shake may be useful. But otherwise, you should be able to get all your protein and calories from whole foods. When pushed for time, trainer Nate Green recommends a simple, healthy, high-calorie shake consisting of almond milk, bananas, whey protein powder, coconut and a greens supplement. Have one or two of these per day if you can't fit in solid meals. Adjust meal serving sizes to fit your calorie needs and aim to split these calories among three meals plus a couple of snacks. Should you find you're struggling to hit your calorie goal, add in more calorie-dense foods such as nuts, nut butters, dried fruit, whole milk and olive oil. 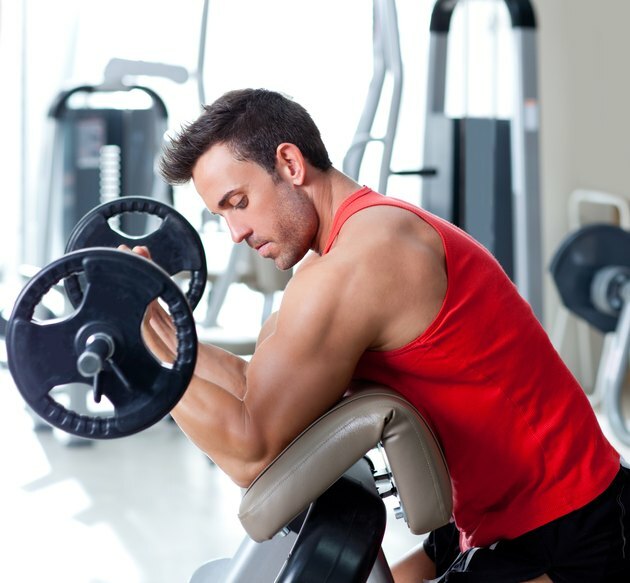 Relentless Gains: How Long Does It Take to Build Muscle?